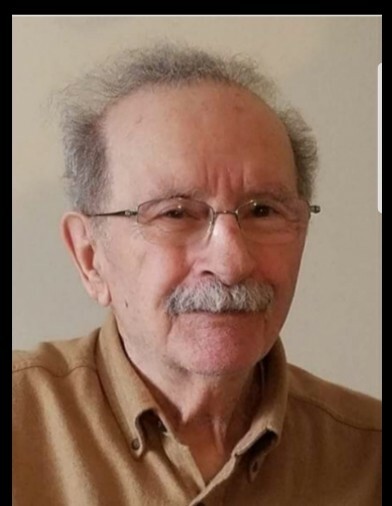 Leominster - Ernest S. "Grumpy" Caponi, 85, of Leominster, died October 8, 2018, at home with his family by his side. He was born in Leominster, February 18, 1933, son of the late Arthur and Rose (Mosa) Caponi. Ernest graduated from Leominster High School, Class of 1951. During his high school and college years, he worked summers at Evergreen Cemetery in Leominster. He then attended Boston College receiving a B.S. in Industrial Management in 1958. In 1971 he became a Registered Professional Engineer in Massachusetts. He graduated Anna Maria College in 1978 with an M.B.A. in Management, Accounting and Marketing and in 1986 graduated from Central New England College with a B.S. in Computer Information Systems. Ernest worked as an Industrial Engineer for 20 years, as a Professor and an Author. He worked as an Adjunct Professor at Mount Wachusett Community College from 1968-1976, Associate Professor of Industrial Engineering at Central New England College from 1978-1987 and then worked in Sales, Marketing and Purchasing for Environmental and Industrial industries for 12 years. Ernest enjoyed aviation, acquiring his Private Pilot License in 1965. He also enjoyed reading aviation literature, gardening, working, traveling, both domestic and foreign and genealogy research. He is survived by his wife of 51 years, Annette C. (Proulx) Caponi, of Leominster, two sons; Robert E. Caponi and his wife Joan of Leominster, Richard C. Caponi and his wife Penny of Brooklyn, CT, one daughter; Lisa R. de Mars and her husband Robert of Westford, MA, three brothers; Henry Caponi of Leominster, Arthur Caponi of Leominster and Thomas Caponi of Westminster and Florida, along with his grandchildren; Alyssa Caponi, Joseph Caponi, Angela Caponi, Lauren Caponi, Owen de-Mars and Ryan de-Mars. Ernest's funeral will be held Friday, October 12, 2018, from Wright-Roy Funeral Home, Inc., 109 West Street, Leominster, with a Mass of Christian Burial at 11:00 a.m. in Our Lady of the Lake Parish, 1400 Main Street, Leominster. Burial will follow in Evergreen Cemetery, Leominster. Calling hours will be held Friday morning, Oct. 12th, from 8:15 - 10:15 a.m. in the funeral home. In lieu of flowers, donations may be made in his memory to: The Ernest Caponi Scholarship Fund c/o Leominster Credit Union, 20 Adams Street, Leominster, MA 01453.